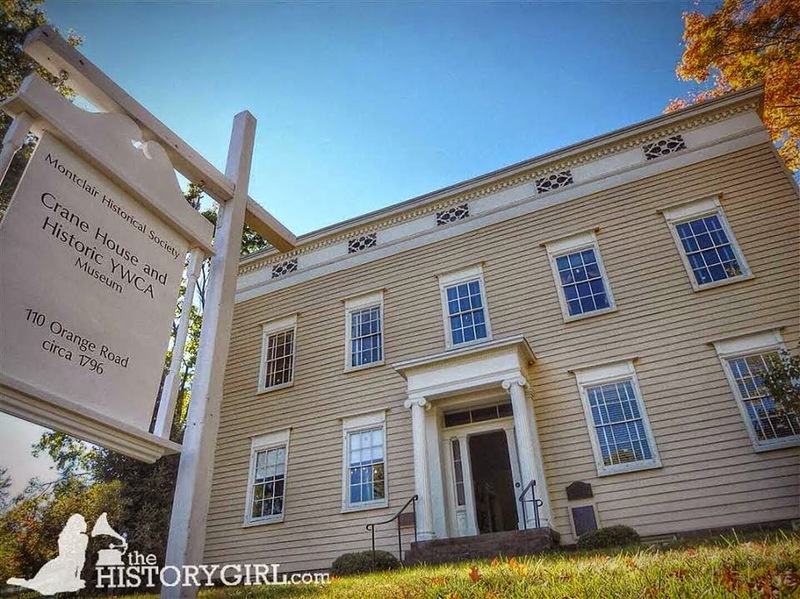 NJ Weekend Historical Happenings: 1/19/19 - 1/20/19 ~ The History Girl! It can be tricky to sort out fact from fiction; do we record and remember history as it was or as we want it to be? What can skew our perspective? We will explore some common historical misunderstandings and share fun facts and credible accounts about the past at Historic Walnford on Saturday and Sunday from 1:00 - 4:00 pm. 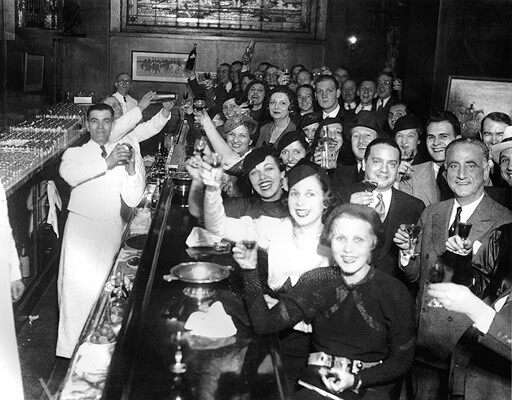 You’ve heard about the Titanic’s sinking in the North Atlantic in mid-April of 1912. But did you know the role the city of Halifax, Nova Scotia played in the retrieval process? 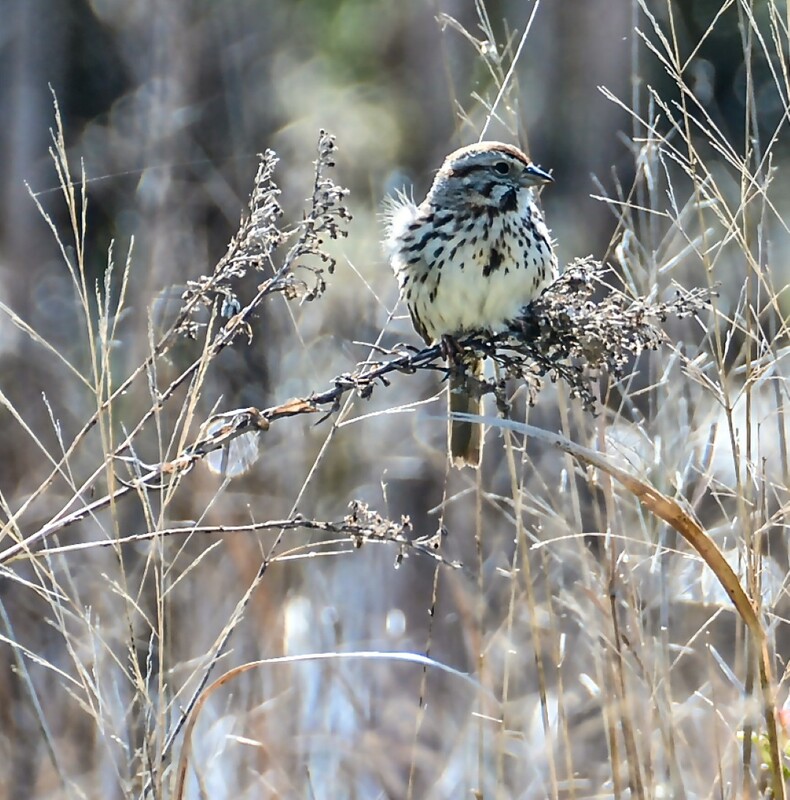 Come to the Ocean County Historical Society, 26 Hadley Avenue, Toms River, NJ to hear researcher Sandra Gray, a Forked River resident, share the personal stories and other intriguing facts she’s discovered during visits to Halifax on Sunday at 2:00 pm. There is no admission fee, but donations will be accepted. Refreshments will be served. Call 732-341-1880 for reservations. In case of snow, the program will be rescheduled on January 27, same time and place. For more information, visit www.oceancountyhistory.org. The Tewksbury Historical Society will hold its annual membership meeting on Sunday at 1:00 pm at Society Headquarters, 60 Water Street in Mountainville, NJ. Refreshments will be served. The society will hold its annual reorganization meeting, at which time the society's Nominating Committee will present a slate of officers for the positions of Vice-President and Treasurer to be voted upon by the membership at large. The society's Treasurer will present a 2018 financial report and Standing Committee Chairs will present their reports on 2018 activities and proposed 2019 plans. Old names such as Wawayanda and Hopatcong remind us of the Lenni Lenape, or "Original People." Historic battlefields recall New Jersey's perilous years as "the Crossroads of the American Revolution." Abandoned forges still speak of our first great industry, and we can trace the beginnings of our transportation network in the paths of the Morris and the Delaware & Raritan Canals. 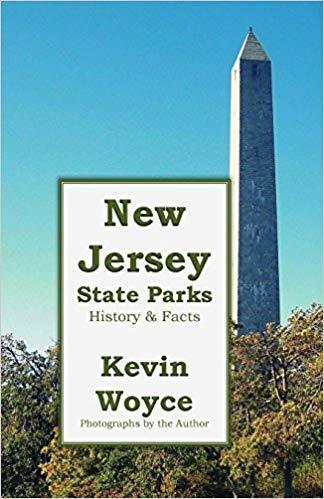 The slide show includes original photography of many of New Jersey's beautiful state parks, plus vintage maps and images of historic people, places, and events. Kevin Woyce is an author, photographer, and lecturer. His regional history books, illustrated with original black and white photography, include: Jersey Shore History & Facts, Niagara: The Falls and the River, New Jersey State Parks: History & Facts, and Hudson River Lighthouses: An Illustrated History. A lifelong resident of the Garden State, Kevin grew up in East Rutherford, the eldest of 15 siblings. He now lives in Lyndhurst with his wife, Carin. In the event of inclement weather (snow or ice) the meeting will be cancelled. Check the Society's website at www.tewksburyhistory.net or call 908-832-6734 for more information or to check for any cancellation. 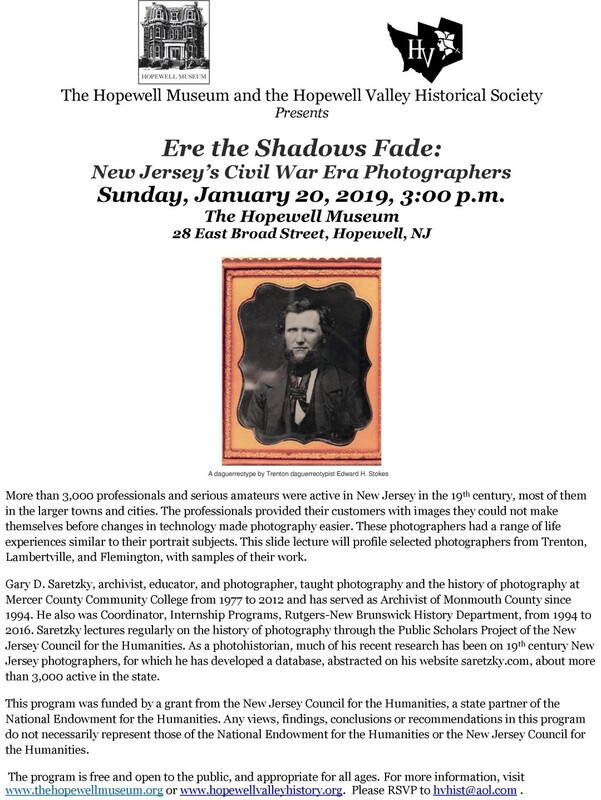 Explore 200 years of Black history in Montclair and New Jersey through rare first-hand accounts, primary and secondary source documents. Artifacts include a bill of sale for an enslaved person in the household, an 1800s newspaper, an 1840s New York Knickerbocker magazine, census data, personal letters, oral histories, and mid-century Jet and Ebony magazines. These artifacts provide a springboard for discussion about race both in the past and in the present-day. Tours of the Crane House & Historic YWCA are on the hour from 1:00 - 4:00 pm. Last tour at 3:00 pm. Admission is $6/adult; $5/student/senior with ID; $4/child; under 2 free. Member get in free! The Crane House/Historic YWCA is located at 110 Orange Road, Montclair, NJ. For more information, call 973-744-1796, e-mail mail@montclairhistorical.org, or visit www.montclairhistory.org. On Sunday, visit Historic Longstreet Farm in Holmdel to take a step back in time to watch blacksmiths perform their craft. They will be shaping iron into everyday products. Blacksmiths were as common as an auto mechanic in towns and on farms of the 1890s. This free event runs from 1:00 - 3:00 pm. This free exhibit showcases the sweet sounds of Victorian music boxes and gramophones. Included in the exhibition is a rare Capital Cuff music box made in New Jersey in the 1880s. Visitors will be able to listen to many of the music boxes and gramophones as they make their way through The Museum’s gallery. Collected by one man over the course of decades, these music boxes have never before been seen on public exhibition. This exhibit will run from December 7, 2018 through January 22, 2019 in The Museum’s gallery. The Museum is located at 504 Route 9 North, Cape May Court House, NJ. Exhibition hours are limited and are available by contacting the museum at 609-465-3535 or visiting the museum’s website at www.cmcmuseum.org.